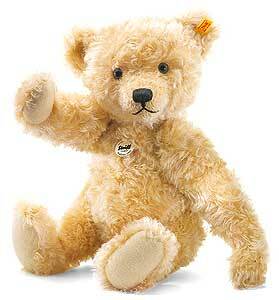 Classic Teddy Bears from the most famous name in Teddy Bears, Steiff. Founded in 1880 by Margarete Steiff, they celebrate their 135th anniversary in 2015. Steiff are not only famous for Teddy bears, as toys and animals have always played a big part in the Steiff company since the company began. The high quality of Steiff products still remains in all of their products, from the keyrings, right up to the popular classic teddy bears, animals and limited edition pieces.